We welcome you to join us on our 2nd International Conference on Intelligent and Interactive Computing 2018 (IIC 2018). The conference is organized by the Department of Interactive Media and Department of Intelligent Computing and Analytics, Faculty of Information and Communication Technology, Universiti Teknikal Malaysia Melaka (UTeM). The theme for this conference is "Intelligent and Immersive Computing Towards Industrial Revolution 4.0". The conference will be held on August 8-9, 2018 in historical city of Melaka, Malaysia. The United Nations Educational, Scientific and Cultural Organization’s (UNESCO) World Heritage Committee has inscribed Melaka, into the UNESCO World Heritage List on 7 July 2008. Although Melaka bustles with urbanization and sophistication, Melaka still beholds the beauty and luster of a bygone era. 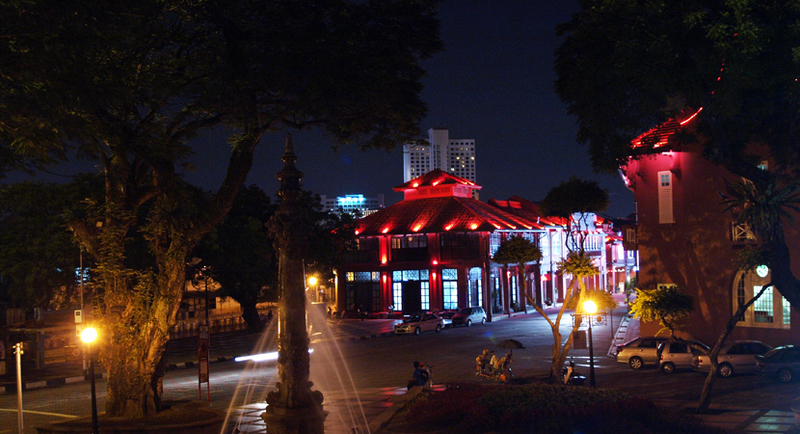 Melaka’s historical heritage has been preserved over the years, thus attracting tourists from near and far. Since the previous IIC 2015 was such a success conference, the organizers would like to promote IIC 2018 to the world especially in the Southeast Asian community. Hence, the IIC 2018 aims to gather academics such as postgraduate students as well as prominent scholars to share valuable knowledge and expertise in related disciplines. Moreover, this conference opens up opportunities for the Industry to share their willingness to tackle the waves of Revolution 4.0. The Industrial 4.0 covers the discovery of a number of new technologies that will spur progress and shape the modern world landscape and its cumulative effect on the world. The Industrial Revolution 4.0 on the other hand will see the Internet of Things (IoT) improves not only business, but almost all aspects of everyday life. It is the current trend of automation and data exchange in manufacturing technology that creates a "smart factory", where machines are connected to the web and to a system that can depict the entire production chain and decide on their own. Partnership can be based on ten pillars - automation robots, simulation, systems integration, IoT, cyber security, cloud computing, additive manufacturing, augmented reality, big data analysis, and vertical and horizontal system integration. All accepted papers will be published in Springer LNNS Series and will be indexed in ISI Proceedings. EI-Compendex, DBLB, SCOPUS, Google Scholar and Springerlink. All papers presented during the conference will have the opportunity to be considered for publication in the following journals. Those that are considered to be appropriate for publication after peer review will be published for free of charge.